A couple of months ago, Google created a visualization tool to understand how neural networks operate. It also open sourced the code for the Deep Dream project, allowing users to run images and video through it to get some interesting results. With Dreamify for Android, you can do the same with photos from your mobile device. The app lets you take or upload an image, choose any of 12 presets, adjust parameters like iterations and layers, and voilà! A bizarro image that looks like something you might encounter on an LSD trip. Dreamify takes about half a minute to process each photo. 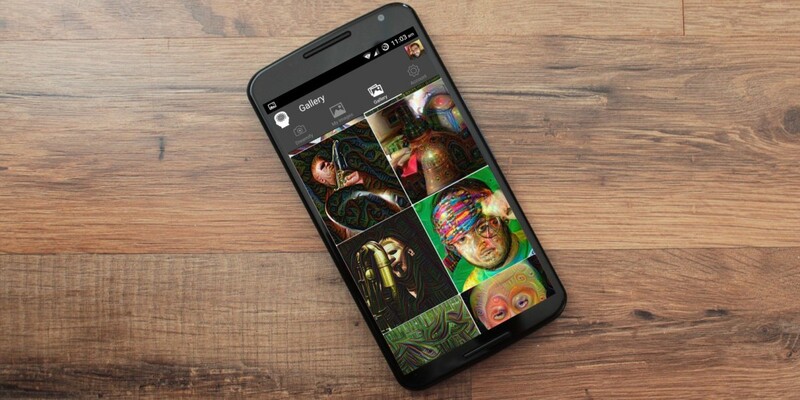 While you wait, you can switch to the Gallery tab to view others’ publicly shared creations. If you spot an image you like, you can heart it, share it or save it to your device. The app is available for free on Android, with an iOS version in the works.